An enduring memory from my childhood holidays in Cornwall was a visit to The Minack Theatre. Who could forget being perched on a grassy terrace, wrapped in a blanket against the elements, with the Atantic Ocean stretching out in front of you? The Minack Theatre is unique. And despite the feel of being in an ancient amphitheatre, you are in fact experiencing drama in a performance space created in the 1930s. We visited at Easter with our two pre-school children to give them their first, and hopefully memorable, experience of open air theatre. The Minack Theatre was created by Rowena Cade, whose home, Minack House, sat at the top of the cliff. Rowena wanted to make a place for local drama enthusiasts to perform Shakespeare’s ‘The Tempest’. This performance happened in 1932 and the theatre has thrived ever since. It now welcomes 80,000 people to open air theatre shows all year round. A further 150,000 visit the far south west of Cornwall just to see the spectacle of this wonderful place and its epic sea views. The gardens are also acclaimed for their tropical plants nestled in one acre of flower beds. Our holiday in Cornwall coincided with a series of family events at The Minack Theatre, giving me the perfect excuse to relive some of my childhood. So we reserved tickets for Robin Goodfellow’s Amazing Travelling Show, which was billed as being suitable for audiences aged five to 95. Having pre-booked we were directed to the front the car park, but decided to find a quieter spot as we had Tin Box Dog with us. Dogs are allowed in the theatre grounds except during performances. After giving Tin Box Dog a trot around the car park and leaving her in a suitably ventilated boot with plenty of water, we wandered down to the Theatre entrance. The car loads of families streaming in around us made me feel happier about buying tickets in advance. At the top of the cliff there is an exhibition centre telling the story of the Theatre and how it has grown over the years. We must return another time to see this and explore the back stage areas. The funny thing about The Minack Theatre is that after a little while you forget about the cool grass seat under your bottom. The quality of the performance is always good enough to draw your eyes away from the alluring view and refocus you on the storyline. We found this even with the children’s adaptation of ‘A Midsummer Nights Dream’ by storyteller Robin Goodfellow, aka John Brolly. The sea, sky and cliffs magically blended to become a backdrop for this one man act on stage. Four-year-old Tin Box Tot was enthralled throughout the 45 minute show, shouting back the answers to cheeky John Goodfellow’s questions and using her wriggly fingers to summon up magic on cue. Shakespeare’s work is definitely as relevant today as it was 400 years ago and John Brolly was brilliant at bringing the storyline up to date for a young audience. Tin Box Baby was a bit more wriggly and, to be honest, I wouldn’t normally have attempted to keep her still for so long. Some snacks and a bit of knee bouncing got us through the second half of the performance. Give her another year and I think Baby would have been lapping up every word. The show was great value for money, costing us £10.50 for two adults and two pre-schoolers (plus a £1 online booking fee). Entrance to walk around the theatre costs £5 for adults, £2.50 for under 15-year-olds and 50p for under 11-year-olds. We could have seen the exhibition and backstage in the price of our show tickets had we not had to return to our car and four-legged friend promptly. Bring a blanket for your knees and a picnic rug for the floor or your shelved seating. Keep hold of wriggley children when the show starts. If they decide to jump off their seat they could fall. Use a baby or toddler carrier to bring small children to your seats and hold hands with older ones as there are a lot of steps. Double check everyone has been to the toilet before you take your seats as it’s a long way back up to the loo next to the exhibition centre. Bring snacks to bribe smaller children to sit still. There is a cafe selling meals to eat in and take away at the top of the theatre and smaller takeaway half way down. Dogs are welcome if you are visiting to look around the Theatre but not during performances. My advice would be if you are planning on attending a performance on anything but a cool day please do not leave your dog in your vehicle. There is no shade in the car park and dogs die in hot cars. The Theatre website recommends a boarding service for pets. I’ve written a guide to more dog-friendly Cornwall days out. 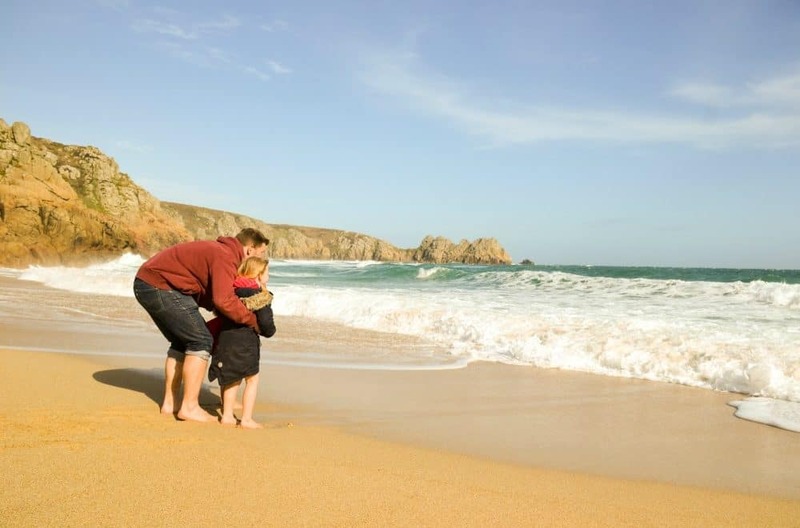 Have you visited The Minack Theatre in Cornwall or attended an open air theatre with children? I’d love to hear about the shows and venues that have entertained your family. To find out about shows happening at The Minack Theatre during the 2017 season visit the theatre’s website. 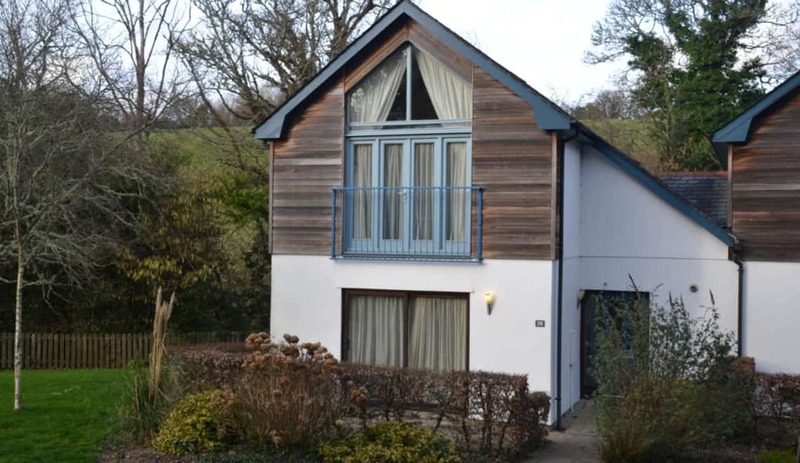 If you’re looking for more holiday and days out inspiration check out our essential guide to family holidays in Cornwall. 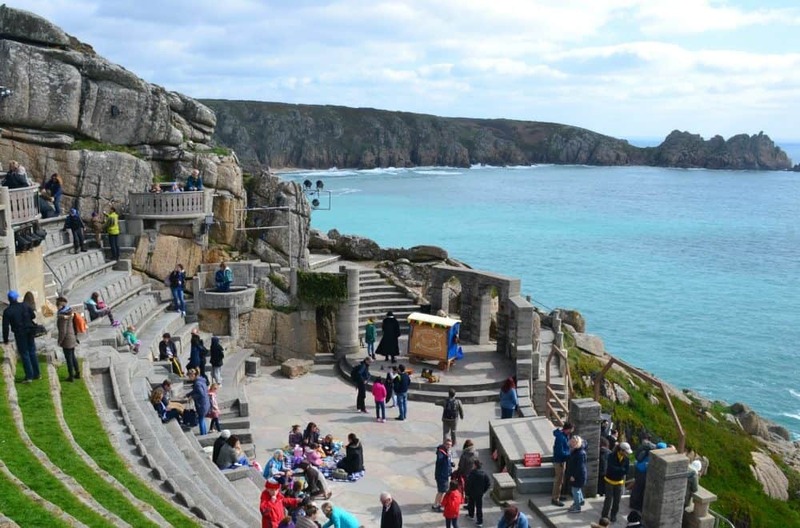 If you’re planning a visit to The Minack Theatre in Cornwall why not pin this post for later?! Very good through review. I have been to Cornwall lots of times but never come across the theatre. Good luck with the Brilliance in Blogging awards finals, I will send you my vote.